Steven (Chicagoland, United States) on 15 October 2014 in Landscape & Rural and Portfolio. Photo captured at Chain O Lakes State Park on October 6, 2012. Classic colors . . wonderful intensity here. Magnifique ! ***** Belle journée ! Sensational starburst through the autumn canopy! Amazing autumn colors. The sunshine between leaves is impressive. You never tire of these beautiful photo's of autumn trees. 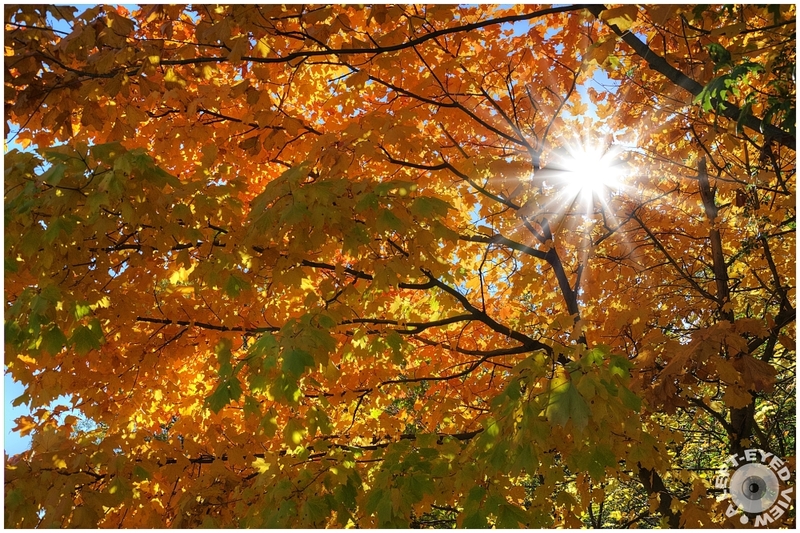 A fine capture of the sun breaking through the autumn coverage of beautiful leaves. The sun is a great touch. Nice fall photo. Great exposure for this wonderful scene. Did you try it with larger f/Stop ... like f/22? I'm told it can 'refine' the sunstar. I haven't had much practice with it, though. @Judy aka L@dybug: Dare I say it, but 90% of the pictures I take are in "auto" mode. I need to have a practice run where I only use manual mode for a photo shoot. Wonderful bright spot in this world of autumn colors ! Very nice image, pleasant ! Absolutely gorgeous. The colors are beautiful and I love the starburst of the sun! Fine colors and I like the starburst effect. Very nice with that blast of sun.